There are various types of equipment and instruments used in fluid flow measurement and control applications. Out of the many instruments, a control valve is one of the most widely used instruments. As the name suggests, control valves are used to control and regulate the fluid flowing through a pipe. It plays a vital role in compensating the load disturbances caused due to steam, gas, or water flowing through a pipe, and maintaining the level of process variable close to the desired set point. During the operation of these control valves, a lot of annoying noise is generated. What causes this noise? How can you control this noise and achieve a noise-free operation of the control valve? Read the following post, which answers these questions. 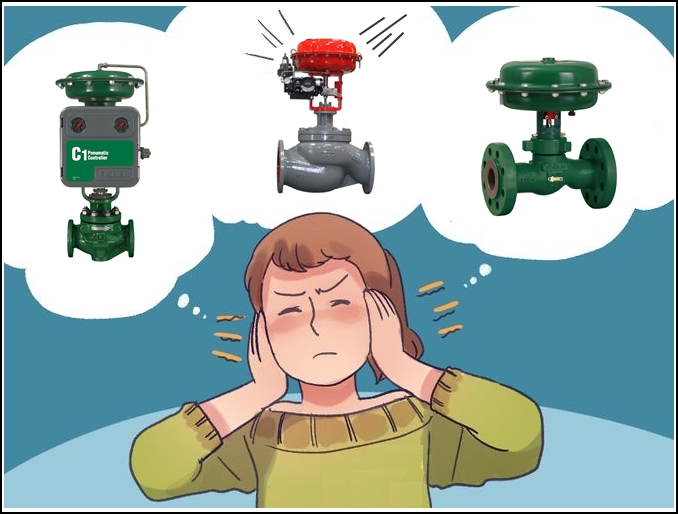 What Causes the Exasperating Noise from Operating Control Valves? How can You Get Rid of it? Solution – Probably, the only way in which you can get rid of the noise problem in this case is by reducing the resonance. Once you are successful in reducing the resonance, the intensity of the noise is reduced, though not eliminated completely. Solution – Here, in this case, the main cause of the exasperating noise is the cavitation. Thus, it is best to get rid of the cause to eliminate the problem. See if you can try to reduce or eliminate the cavitation. If you are able to do it, then it can help you reduce the irritating noise coming from the operating valves. Cause 1 – The main reason that causes the noise is the vibration. If the control valve has a good resonance, then the intensity of this noise is very high. Cause 2 – Another cause of this noise could be the flow. This is referred to as cavitation. When the control valve is operating, the medium’s bubble burst is converted into a speeded force. This speeded force gives rise to the noise. Thickened Pipe – One of the most effective ways to get rid of this problem is to use a thickened pipe, which has the capability to effectively reduce the irritating noise. However, it comes with a cost. The thickened pipe is costlier as compared to other regular ones. Series Flow Method – Implementing the series flow method can also help reduce the noise by a considerable amount. Sound-absorbing Material – This is another effective way of reducing the intensity of the noise. You can surround the valve pipe and the source of the noise with a sound-absorbing material. Low Noise Valve – Last, but the easiest and the most effective way to eliminating the problem is to use a control valve having low noise. These were some ways in which you can eliminate, or at least reduce the intensity of the annoying noise produced as a result of the working of control valves. Good quality control valves are said to generate comparatively lesser noise because of the high quality materials used. If you are looking forward to buying high quality control valves for your industrial applications, it is always best to consult industry experts. The Transmitter Shop is one such expert, with a huge experience in manufacturing and providing good quality valves.